Y’Annika Edwards (L) and Jessica Scofield at the Specialty Suite. 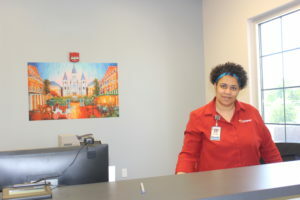 The view is beautiful at Destrehan’s Plantation View Medical Offices with new tenants and growing services aimed at fulfilling the mission of appealing to patients locally. At about this time last year, the facility was nearly 50 percent full. Renovations for Oschner Primary Care’s 10,000 square-foot suite on Plantation View’s second floor have been completed and is opening this week, Reeder said. This space will include a lab, a colorectal clinic along with services on smoking cessation, diabetic education and enough space to grow primary care. 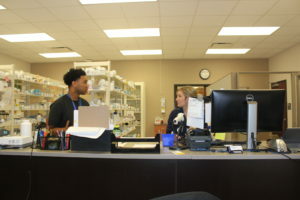 Of these services, Addiction Recovery Resources is the latest tenant, a Metairie-based outpatient recovery group that provides services locally, as well as supports the parish’s drug court. 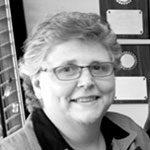 Filling the facility has proven challenging since it was built. Located at 13100 River Road, the $15 million Plantation View building with its French Quarter style façade was built to provide access to medical and emergency care to the area. Ochsner Health System, which is a managing partner hired by the Hospital Board to operate the hospital and Plantation View, has been pursuing additional health care tenants. The facility already includes Ochsner Pharmacy and Wellness, Ochsner Health Center that includes primary care (Drs. 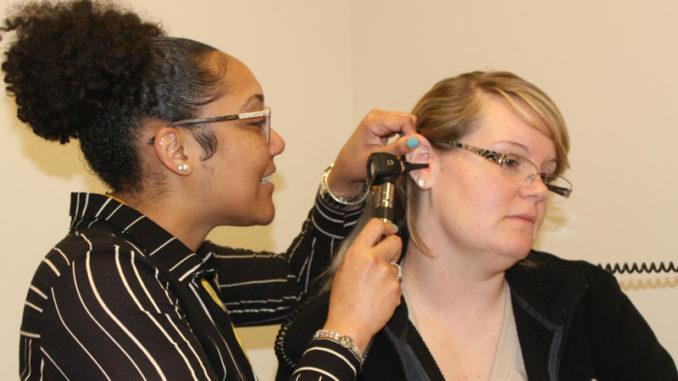 Anne Colwart and Monica Williams, along with Ochsner Multispecialty with Drs. Brian Brogl and Y’Annika Edwards in urology, and Drs. John McCrossen and Sheena Pullman, both in OB/GYN, as well as Ochsner Health Center for Children – Destrhan Pediatrics. St. Charles Urgent Care is Plantation View’s first tenant when the 72,000 square-foot was completed in 2016. Since this time, Apache Industrial Services has come on board on the facility’s third floor offices. More recently, locally owned Honeydoux Café’ and Bakery has also opened a location. “I’ve heard great reviews on coffees and pastries from tenants and the community,” he said. 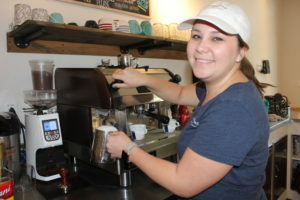 Destrehan pastry chef Katie Hymel owns and makes the food and coffees at the café. Reeder said more announcements may come in summer on remaining space possibly being used by the hospital, projecting as much as 30 percent of the building may be dedicated to hospital use. Additional signage will be placed at the location, he said. Tenants will have the option to be named on a sign and the panels are being designed at this time. The St. Charles Parish Hospital road sign will be back lit by May, and additional directional signage will be added based on feedback from patients and visitors. The location is particularly advantageous with being located on River Road and I-310 access, he added.